Sorry, another needull on India China. But, this one is really good. 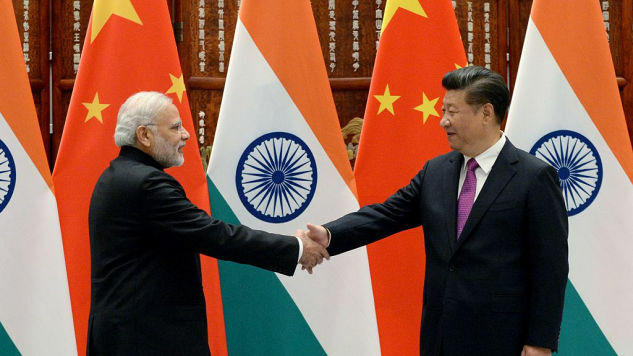 The strategies employed by both China and India are intended to lead to growth and influence. Clearly, however, these strategies do not always benefit their countries as intended, especially with regard to international legitimacy. China’s policies have largely done so militarily and economically, while India has the advantage politically and culturally. Even should these countries devise strategies that maximize their power, however, their ability to ascend to the top is not assured. Indeed, John Ikenberry argues that while “it may be possible for China to overtake the United States alone… it is much less likely that China will ever manage to overtake the Western order.” Should this come to pass, the future China or India will likely be forced to operate in an international community defined by Western values. If either country is to become a power beyond its respective regions, it will need to ensure good relations with the West as well as the rest of world. Posted on October 31, 2017 October 26, 2017 by NeelabhPosted in geo political thriller, PoliticsTagged China, India, Strategy Bridge, Superpower. Previous Previous post: What Is Prison Like for Women and Girls?